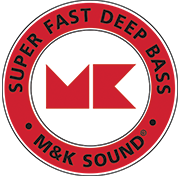 Featured with single 10” driver in sealed enclosure, combining digital switch mode power section of 200 watt RMS, with M&K proprietary analog “front-end” input stage designed for the legendary M&K Sound bass extension. 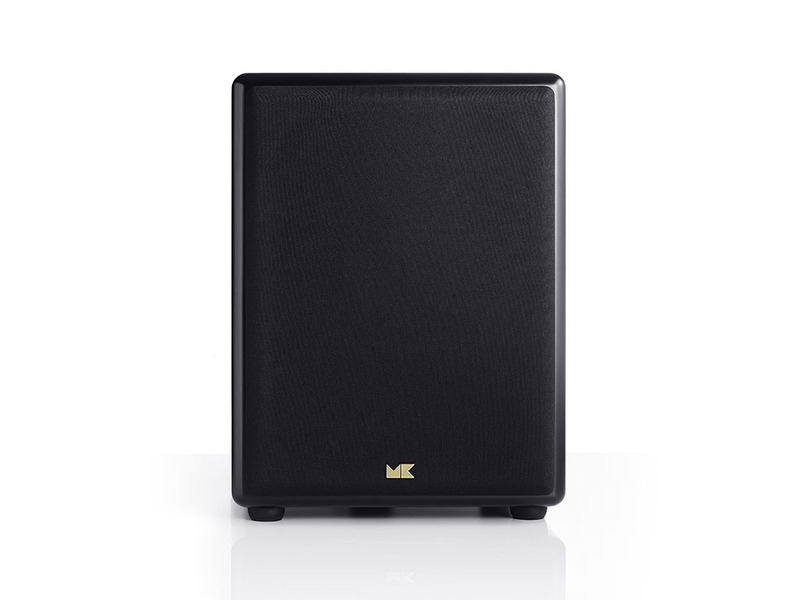 The M&K V10 subwoofer delivers low distortion and high dynamic performance in a very compact format. 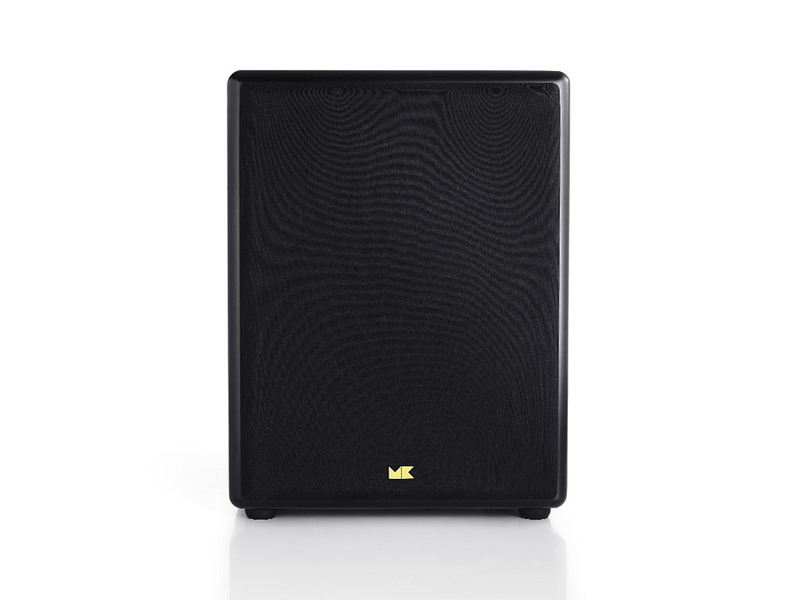 The M&K Sound V-series V8 V10 and V12 is an excellent sound choice as they have a very small footprint, look great and sound fantastic. 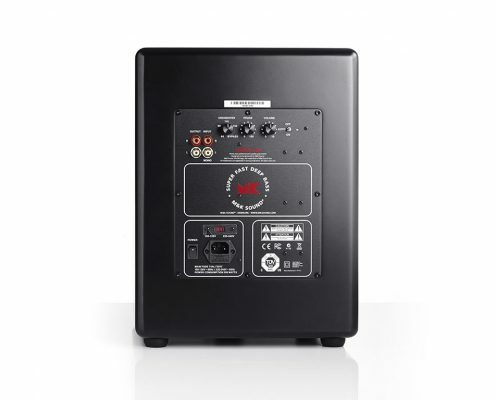 You will be amazed how much you get for a reasonable price. 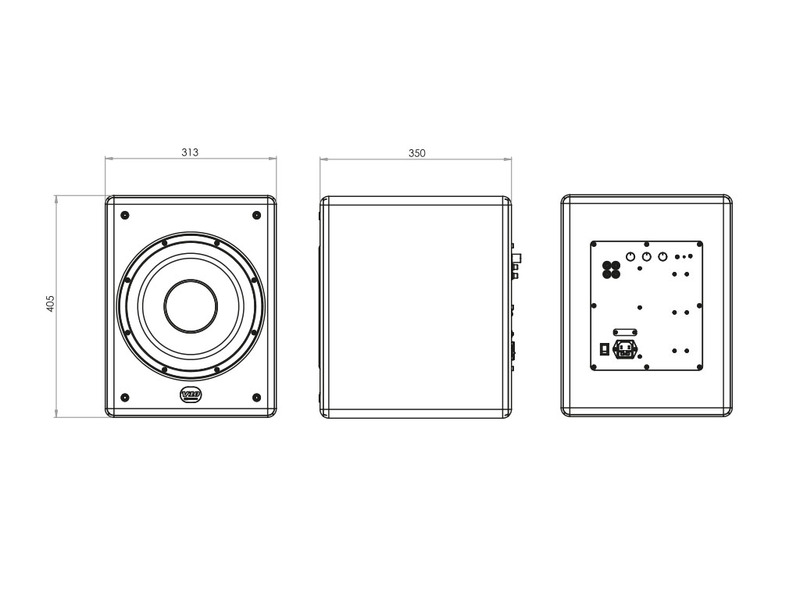 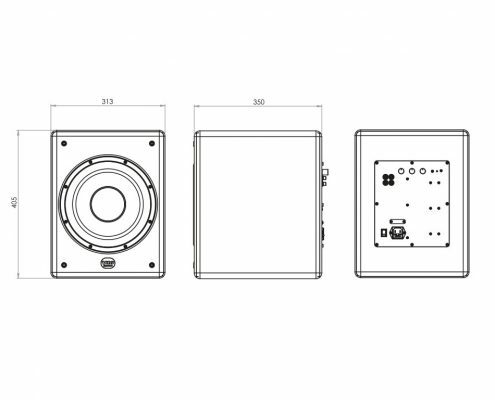 V also stands for Vindication, defi nitive proof of the right-ness of M&K Sound’s innovative ideas and vision as pioneers in the fi eld of subwoofers. 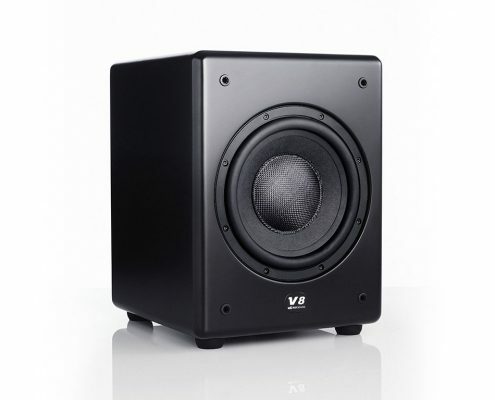 In the case of the M&K Sound V Series trio of ultra-compact subwoofers, it also stands for Validation of concept and execution. 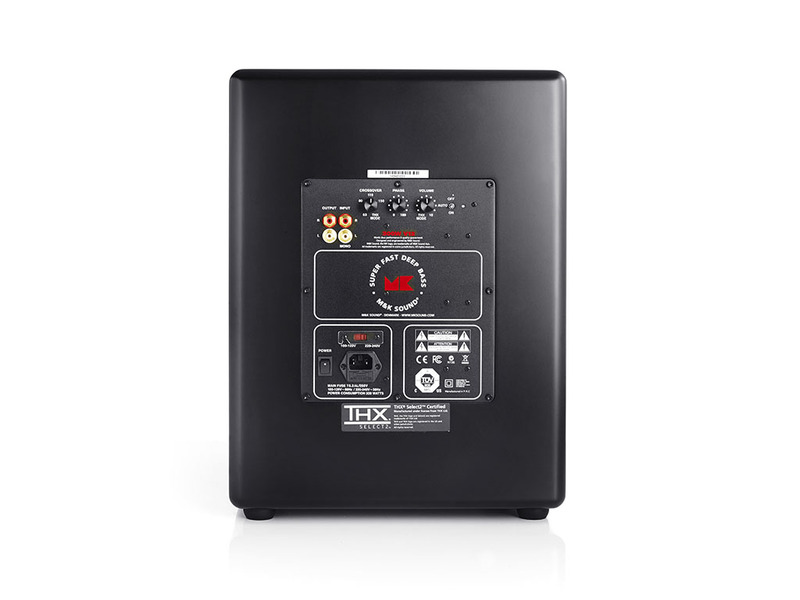 Following the extended research and development process that led to the groundbreaking M&K Sound X Series subwoofers, the all-new V Series draws heavily on knowledge and technology derived directly from that range of market leading, self-powered subwoofers. 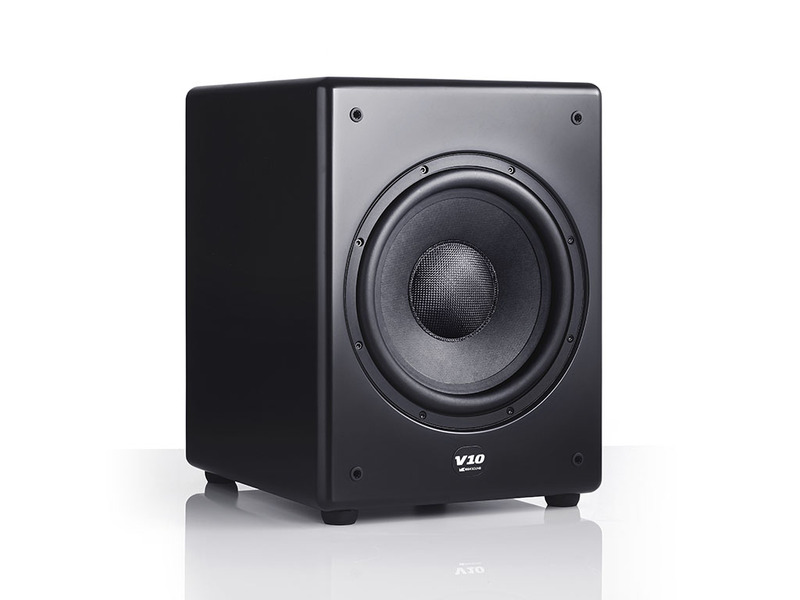 Too often, music and movie lovers feel forced to choose between larger speakers that detract from the beauty and style of the living room and more compact models that seriously compromise the home entertainment experience. 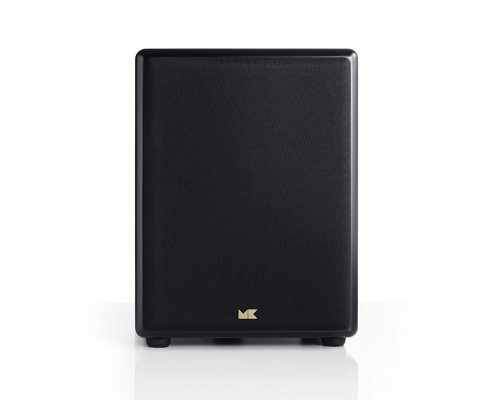 After introducing the satellite/subwoofer confi guration more than 40 years ago, M&K Sound allows film and music enthusiasts to have it both ways, combining attractive, compact high performance main speakers with handsome, compact subwoofers for decorator-friendly room integration. 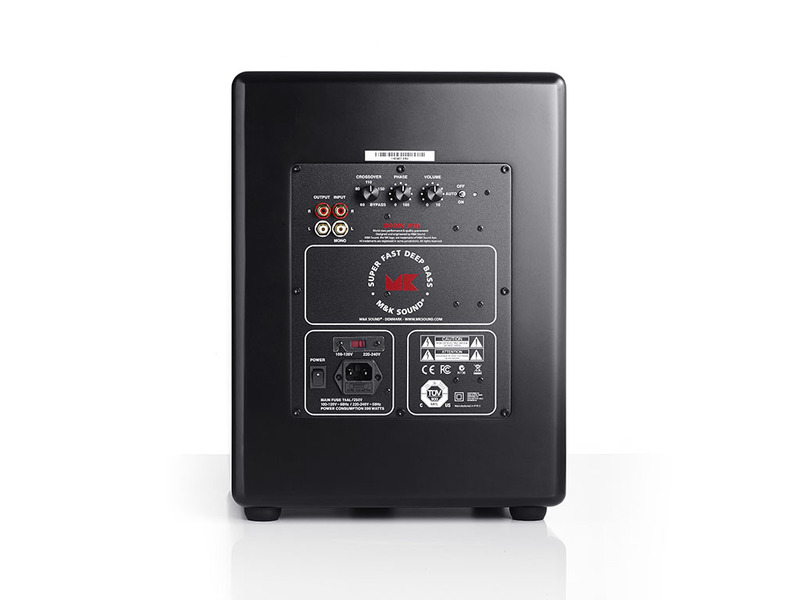 The M&K Sound V Series offers exceptional flexibility of choice to suit any budget and room size: V8 with an 8” woofer and 150 Watts of built-in amplifi er power, V10 with a 10” woofer and 250 Watts and V12 with a 12” woofer and 300 Watts. 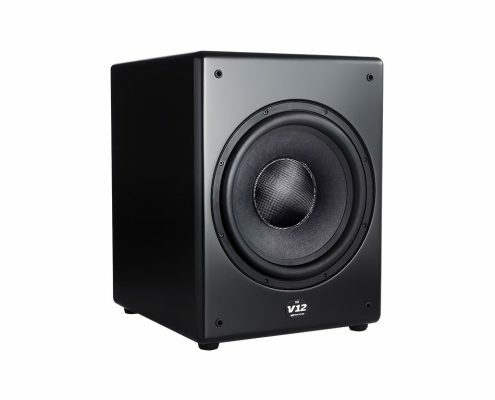 The clean lines and smooth, rounded edges of V Series subwoofers are available in elegant Black Satin or White Satin with matching grille cloth and will be a discrete, stylish addition to any living space. 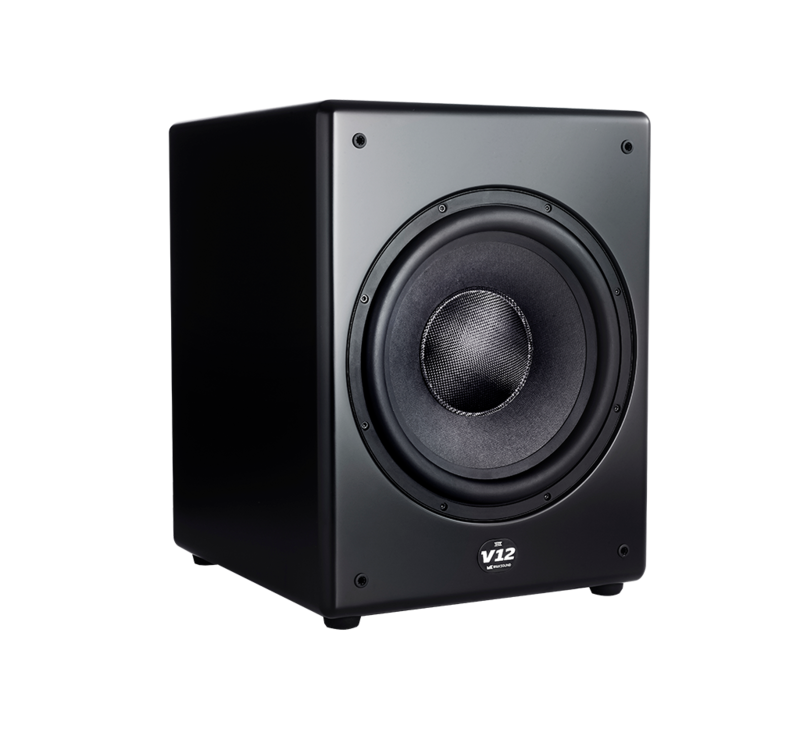 V Series woofers are built on a stamped steel basket and incorporate a pulp cone, custom NBR (Nitril Butyl Rubber Suspension) surround, fiberglass dust cap and a newly designed motor system featuring an aluminum voice coil former and undercut, extended pole piece. 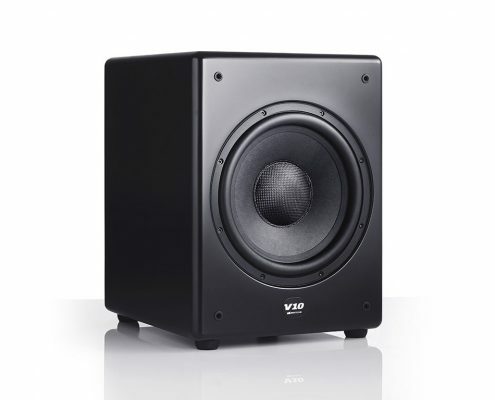 An unsurpassable achievement at such a modest price. 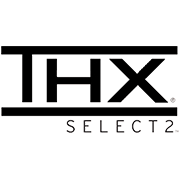 It takes four decades of dedication to reach this level of distinction. 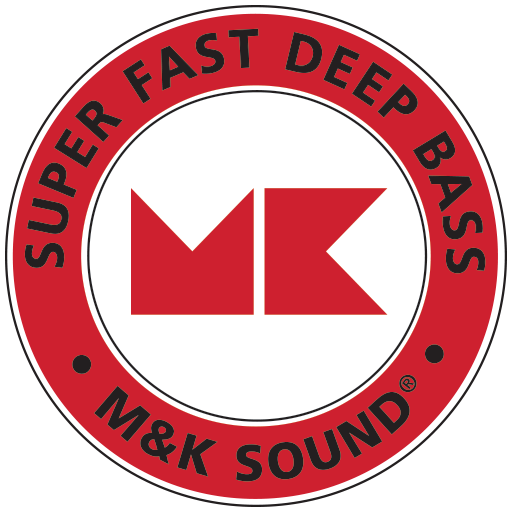 Nobody knows bass like M&K! 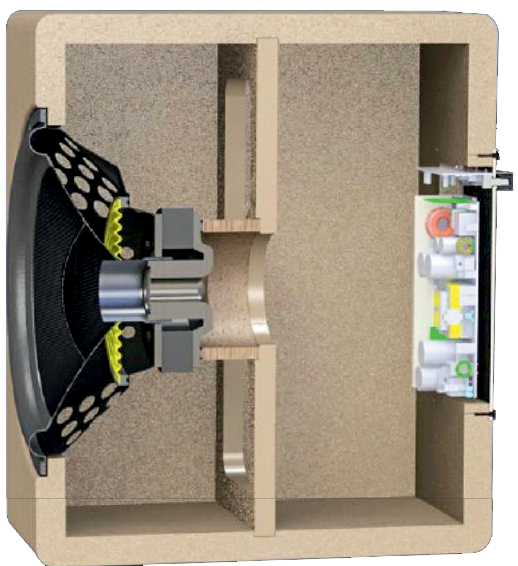 The extremely rigid, non-resonant cabinet of 1” MDF incorporates internal bracing of 3/4” MDF to reinforce the enclosure and support the powerful bass driver.